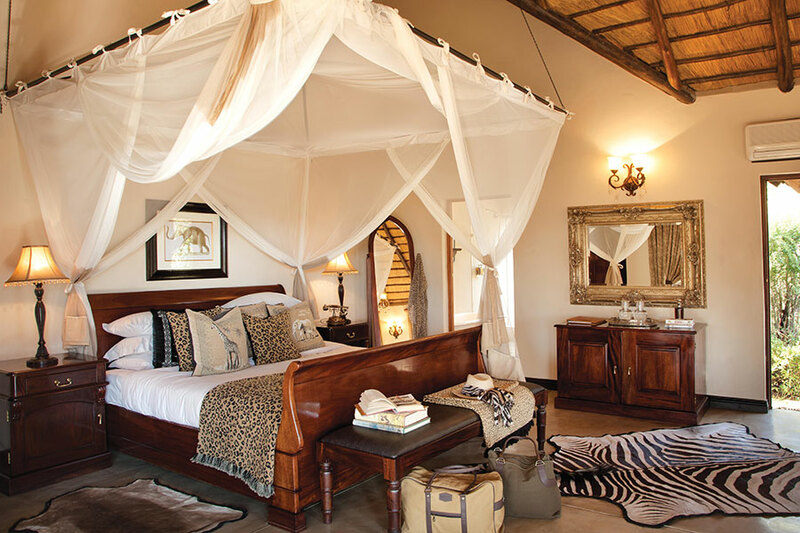 This Luxury Kruger National Park Safari was designed for a couple from Naples, Florida who were celebrating their 20th anniversary. It was their first time in Africa and they wanted to see the Big 5 in South Africa’s famous Kruger Park. 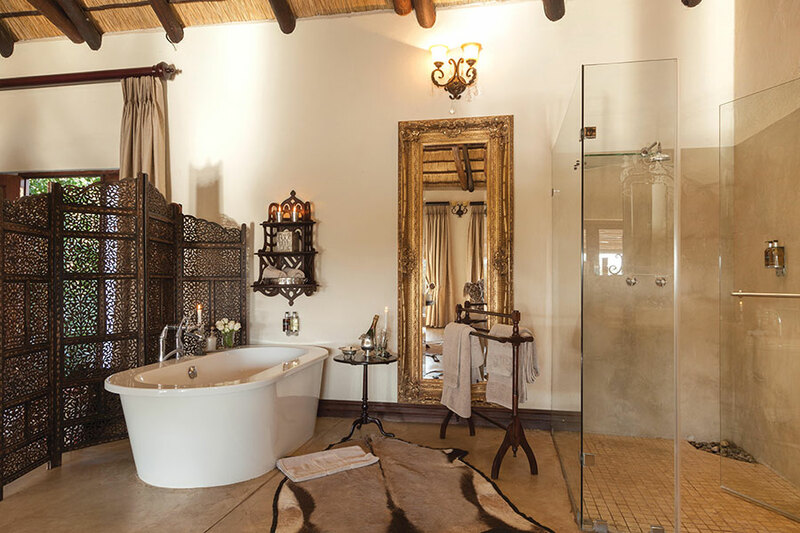 We sent them to 2 of our favorite Kruger safari lodges that are a bit off the beaten path and located in private game reserves. 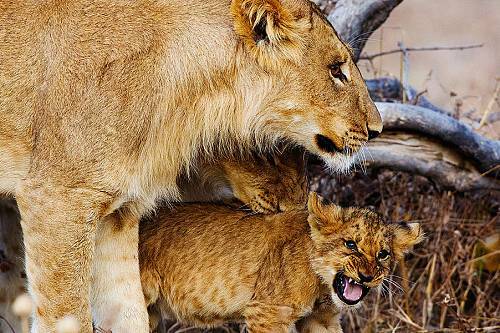 They had amazing wildlife encounters and were able to relax at luxurious camps offering all the creature comforts of a true home away from home. They started their trip at Kings Camp in the Timbavati Game Reserve. 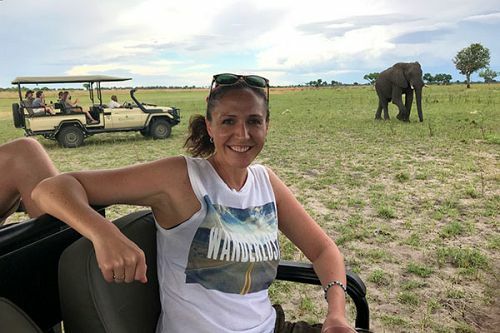 They went on game drives and walking safaris to see elephants, lions, leopards, giraffes, and more out in the wild, almost close enough to touch. 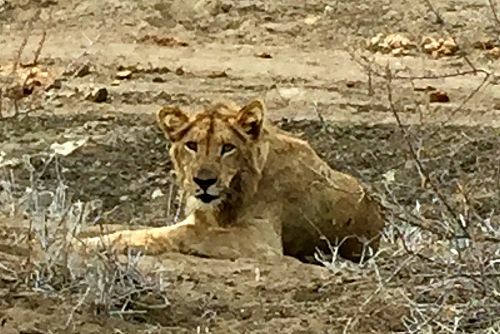 They were even lucky enough to see one of the extremely rare white lions on the reserve! 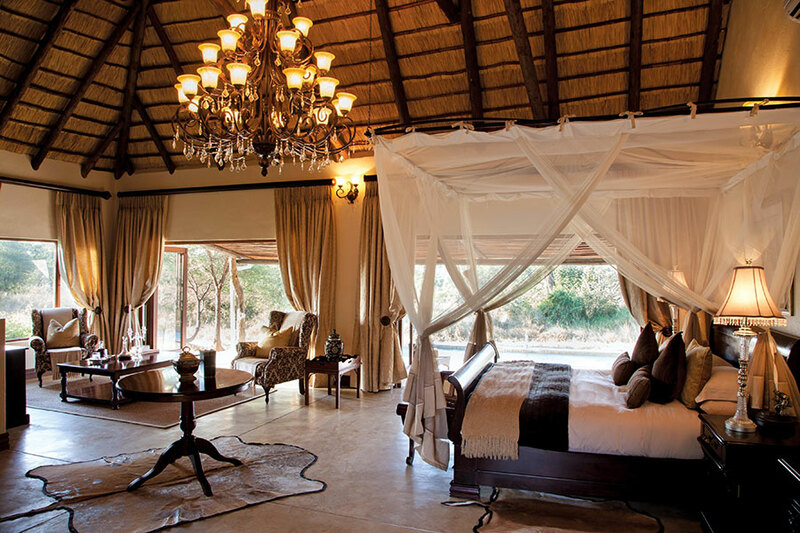 They loved the safari lifestyle: exciting game drives in the morning, bush breakfasts where they saw elephants walking past as they sipped their morning coffee, outdoor boma dinners around the fire, and being able to retreat to their luxurious suite after each adventure-packed day. Continuing their Luxury Kruger National Park Safari, they flew to the northern region of Kruger for 2 nights at The Outpost. This unique lodge has a sleek, modern design that blends seamlessly with its stunning natural surroundings. While still in Kruger, The Outpost is surrounded by different landscapes than what you’ll find in the more popular south end of the park. Here, they were able to see not only the Big 5, but also some of the smaller and more elusive animals that are rarely seen in other areas. Between the 2 camps, the couple had a spectacular Kruger experience and a milestone anniversary to remember forever. They returned home with countless memories and photos to share. Welcome to South Africa! Arrive in Johannesburg. You will be met at the door of your aircraft with your name on a paging board and assisted through immigration, baggage collection, and customs. 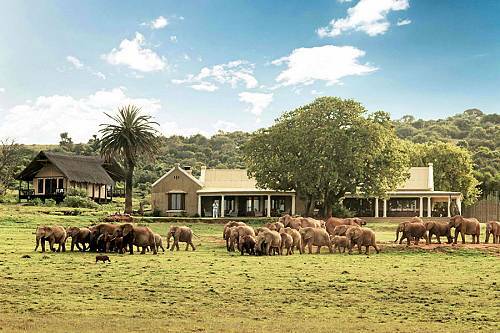 You will then be shown to your onward flight to the Timbavati Game Reserve. 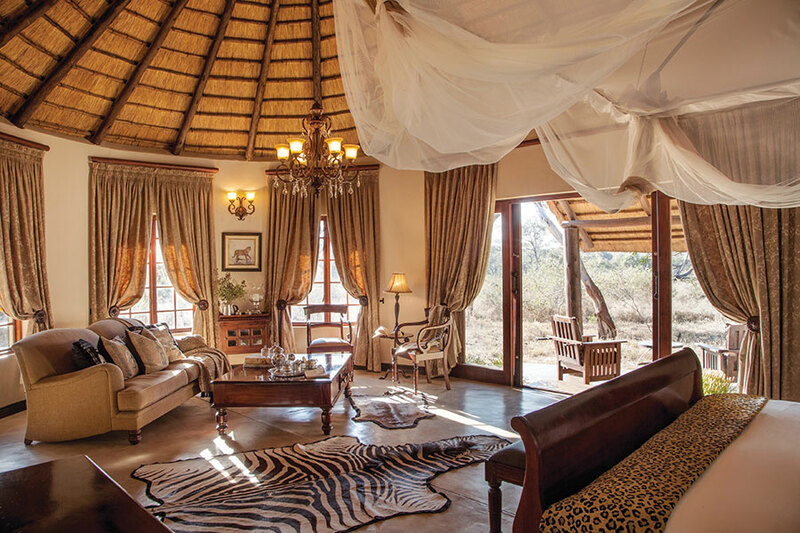 Timbavati is a private game reserve sharing an unfenced border with Kruger National Park, so you get the exceptional Big 5 game viewing of Kruger without the crowds. 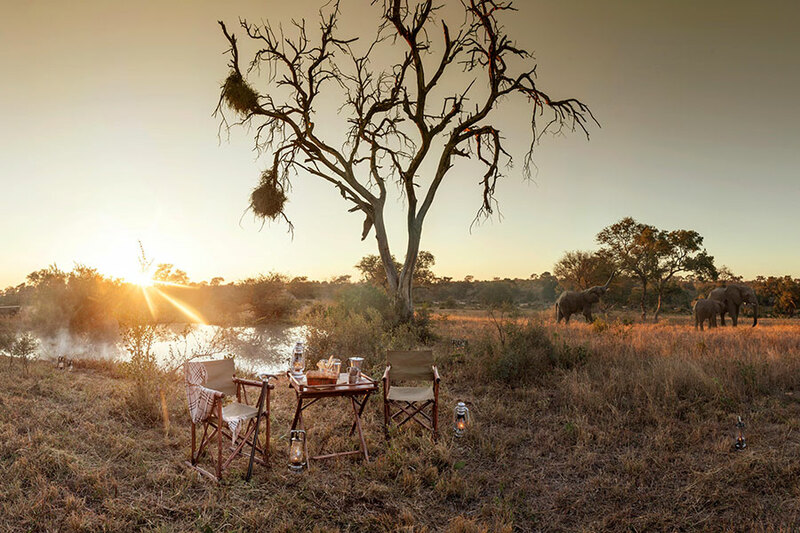 Enjoy a transfer to Kings Camp, an intimate camp looking over a waterhole and vast expanse of unfenced grassland. 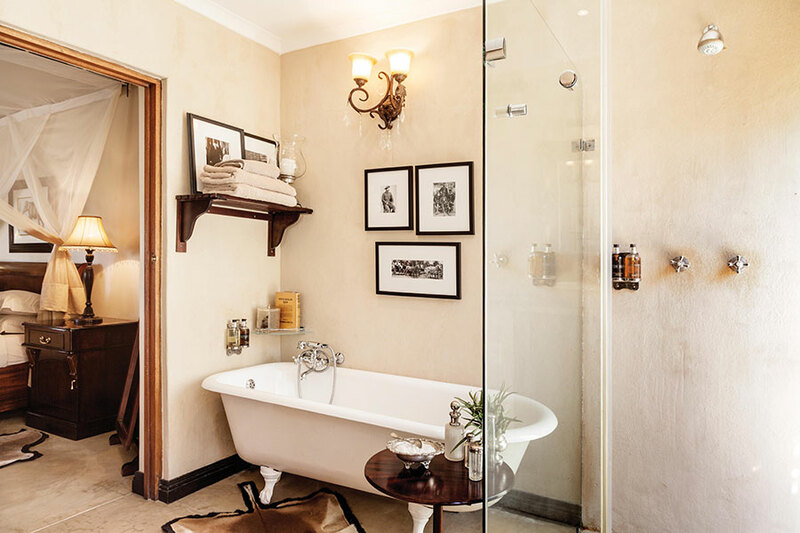 Settle into your spacious and luxurious suite with a large, Victorian bath and private verandah where you can relax and soak up the sights and sounds of the African bush. 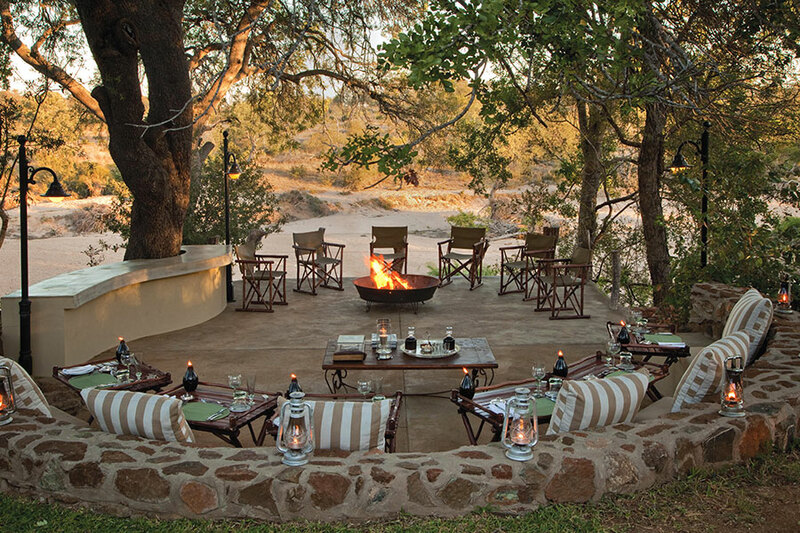 Embark on an evening game drive, then return to the lodge for a scrumptious dinner. 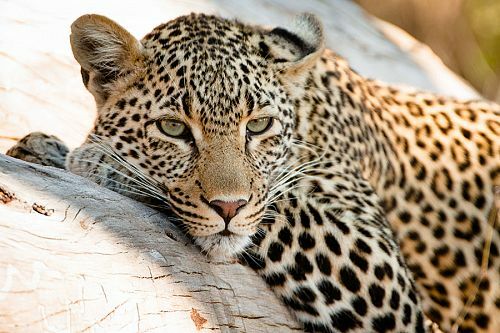 Spend the next 2 days enjoying the wildlife of Kruger on safari. 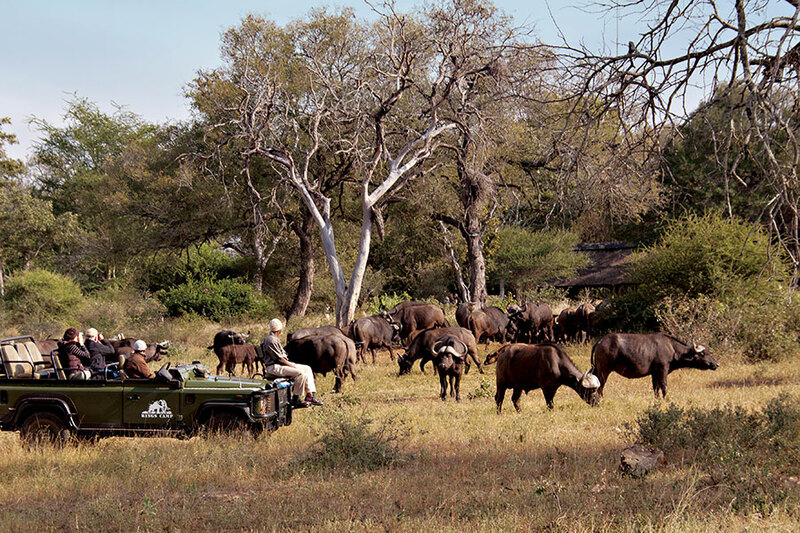 Set out in the morning in a comfortable game drive vehicle to view animals in their natural habitat. Watch elephants drinking at the waterhole, lions on the hunt, leopards perched in the trees, and more. You might even see a rare white lion! Return to the lodge to enjoy a delicious lunch, refresh with an outdoor shower, and cool off in the large swimming pool. In the afternoon it’s time for another game drive, where you’ll have a chance to spot some of the nocturnal creatures of Kruger as the sun goes down. You can also enjoy walking safaris for an even more intimate experience with the nature and wildlife of Africa. 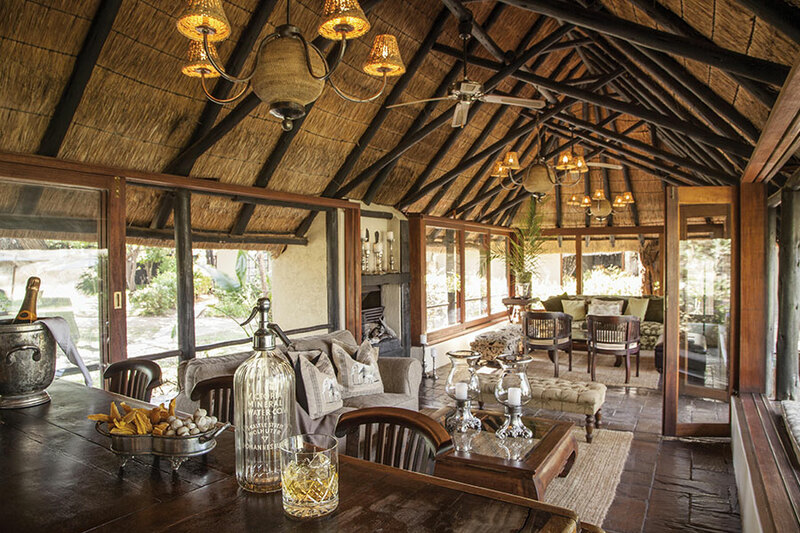 Take a short flight to The Outpost safari lodge in another area of Kruger National Park. 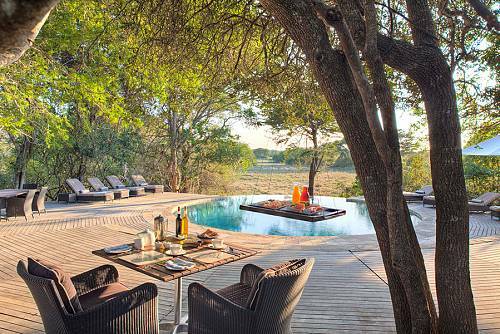 The striking Outpost is a modern property, incorporating sophisticated state-of-the-art design with the vast open spaces of this remote corner of the Kruger. 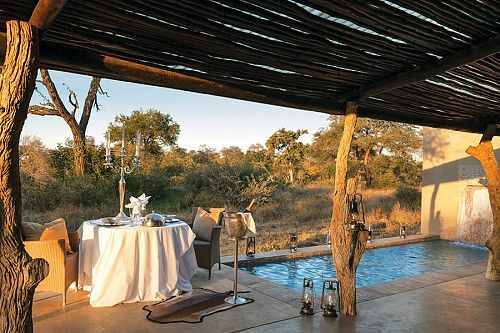 Unforgettable views over the Luvuvhu River Valley and the region’s diverse wilderness can be appreciated throughout the lodge. Enjoy 2 days on safari, where you’ll be able to see some different species in addition to the Big 5. Apart from large herds of elephant and buffalo, you’ll be able to see Nyala, an antelope which is not easily found in the more southern regions of the park, and over 350 recorded bird species. The diverse terrain of the region includes Mopane woodlands, Fever Tree forests, and Acacia thickets, as well as some of the largest and oldest Baobab specimens. It’s time to say goodbye to Kruger today. Make a short flight to the nearest airport, where you’ll catch a flight to Johannesburg and onward back home.